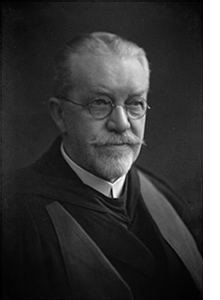 Dr. Orlando A. Mansfield: Composer, Organist, Author, Editor and Lecturer 1863-1936. 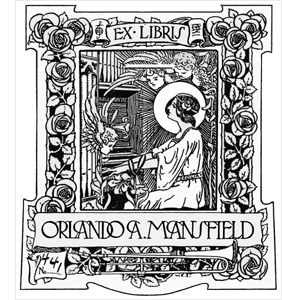 Orlando A. Mansfield: An English Composer in Georgia. An appreciation by Dr Vicki King. Dr. Orlando Augustine Mansfield, pianist, organist, composer, author, editor and lecturer was Professor of Theory and Organ at Brenau College in Gainesville, Georgia, from 1918 to 1923. During his lifetime he composed or arranged over 1000 musical pieces, including choral music, solo songs, music for organ (both original and transcription), piano music (original and transcriptions), hymns, part songs, and chamber music. His publishers included Theodore Presser, Ditson, G. Schirmer, W.H. Gray, Carl Fischer, the Boston Music Co., and Lorenz in America and Novello, Augener, Weekes, Paxton, and Stainer and Bell in England. He wrote about 900 articles for various music magazines and other publications including The Musical Quarterly, The Organ, the Musical Times, Musical Opinion, the Musical Mirror, the Musical Record, The Choir, the British Musician, The Musical Standard, the Musical Journal, The New Music Review, The Musician, The Etude, The Musical Observer, Musical America, The Musical Courier, The Diapason, The American Organist (for which he was the British correspondent), The Choir Leader, the Choir Herald and Musical Progress. His popular theory text, The Student's Harmony, was reprinted fifteen times. He edited Henry Smart's Organ Works, Rheinberger's Organ Works, and the English Organist (two volumes). He wrote a Life of Handel and a Life of Henry Smart. His articles range from theoretical articles such as 'Particular Treatment of the Turn', 'Names of Scale Degrees and their Meaning', 'What are Grace Notes' to articles about piano or organ, such as 'Treat Your Piano Right' and 'Manual and Scale Playing in Organ Playing'. His sense of humour is evident in many of the articles, such as 'The Kitchen' and 'The One-Lined Staff, 'Whimsical Words in Worship Music', and 'All Hail, Sir Heel'. My favourite is 'The Humorous Side of Musical Examinations' from the April 1915 Etude magazine. In the examination of theoretical papers we often come across some rich gems of unconscious humour. Thus I have been told that a double sharp is like the sign of the cross...that Mendelssohn composed the oratorio Elizah...that a Canon is a short setting of the Scriptures and the two schools of musical composition are Polly Phony and Molly Phony! Orlando Mansfield was born in Horningsham, Wiltshire, England on November 28, 1863, where his father, Rev James Pearse Mansfield was for over 20 years, pastor of the oldest Free Church in Great Britain. He studied piano and organ under W.H. Cox in Bristol and E.H. Turpin in London. In 1885 he received the Fellow of the Royal College of Organists degree. He received a Bachelor of Music degree from the University of Trinity College Toronto in 1890 and the Doctor of Music Degree from the University of Toronto in 1905. He became a Fellow of the American Guild of Organists in 1910. In 1886 he married Mlle. Louise Christine Jutz, medalist of the Geneva Conservatory, a pianist, an excellent contralto vocalist, cellist, and violinist. They often played two piano-recitals together, which were described as popular and unique. Mansfield's first organ appointment was at Manvers St. Church, Trowbridge. Beginning in 1892 he was a Member of the Board of Examiners of the London College of Music, examining many thousands of candidates in almost every part of Great Britain, Ireland, and the Channel Islands. From 1885-1895 he was organist and choirmaster of Trinity Church, Torquay being the successful candidate from among a hundred applicants. During the year 1908 he was unanimously elected as the first President of the Free Church Musicians Union, addressing numerous meetings on its behalf in various parts of the country. He was described as a pleasant and instructive public speaker. From 1900-1912 he held the position of organist and choirmaster of Belgrave Church, Torquay, where he gave 50 recitals upon the four-manual organ built under his supervision, conducted choral societies, concerts, etc., and established one of the most important teaching connections in west England. His recitals became one of the principal features of the musical life of the neighbourhood, and were attended by most appreciative audiences. The Musical Journal said, 'He is a brilliant player, and his programs are always made up of really good music well selected.' The Musical Journal also said "Dr. Mansfield is a musical power. As an all-round man he stands high. His genial smile, gentlemanly bearing, and quiet manner, added to his undoubted abilities, make him popular and gain the warm esteem of all with whom he comes into contact". In 1912 Mansfield went to Wilson College in Chambersburg, Pennsylvania as head of the Department of Music where he taught organ, piano, and theory. Wilson College was described by the Musical Times in 1912 as being one of the most reputable colleges for women in the States. While at Wilson College he secured a 40 manual Moeller organ for the school on which he gave 20 recitals. His recitals included works by Handel, Bach, Mendelssohn, as well as many of his own compositions and those of his English contemporaries. From 1918-1923, he was Professor of Theory, Composition, and Organ at Brenau College which in those days had a fine national reputation as a Conservatory of Music. He returned to England in 1923 where he continued writing, composing, teaching, lecturing, and adjudicating. He died in Cheltenham, England, on July 6, 1936, at the age of 72. He was survived by his second wife, Ruby Henderson, whom he married shortly before his death. As a teacher he instructed over 2500 pupils, some of whom later became professional musicians. His most famous pupil was his son, one of the most gifted and facile of the next generation of English school of organ recitalists and composers. He was organist and choirmaster of churches in Glasgow, Scotland, and conductor of several important choral societies. As a lecturer, the elder Mansfield addressed capacity audiences in Birmingham, England, Town Hall, the Town Hall of Leeds, the Philharmonic Hall in Liverpool, and the Free Trade Hall in Manchester. He received prizes for 30 of his compositions, including the Ciemson Gold Medal and Anthem Prize by the American Guild of Organists, for his anthem, 'Eternal Light' (1920) published while he was in Georgia. In addition to publishing under his own name, Dr. Mansfield wrote with two other pen names including Oscar Liemann, which were word plays on his own name. One such composition is 'Tea Tattle' for men's voices, published in 1935 by Paxton, whose text is adapted from the American by Sofie N. Adlam, the second of Orlandos' cryptic pseudonyms.